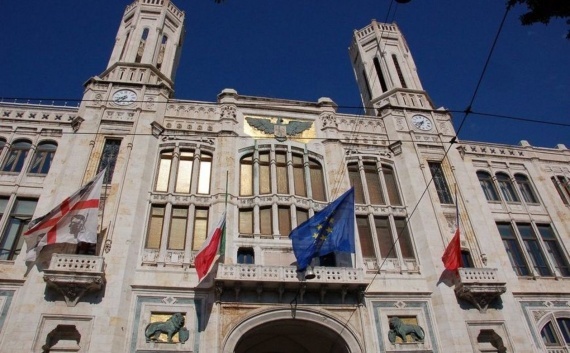 Every Saturday Cagliari's Town Hall opens its gates to citizens and tourists, revealing the beauty of its Historic Halls. Visitors have the opportunity to admire the Council Room, partially destroyed by World War II bombings and home to the worthy Filippo Figari’s paintings, the Commitee Room with a remarkable 16th century retablo by Pietro Cavaro, the Wedding Room, whose walls are decorated with the imposing 27 metres long and 2 metres high canvas by Filippo Figari representing a traditional Sardinian wedding. The guided tour includes also the Mayor Room with its Flemish tapestry, the Savoy Room decorated with three paintings by Giovanni Marghinotti, and the Vivanet Room, house to Felice Melis Marini’s canvases. The Bust Gallery and the Former Mayors Portraits Gallery complete the itinerary, enriched also by the possibility of admiring some of the most relevant sculptures by Francesco Ciusa, such as La Madre dell’Ucciso, Il Cainita and Il Bacio. Free tours are available also on weekdays, by reservation and compatibly with institutional activities. Advance booking is always required for groups.